We are facing tough challenges within the business world. To work through these we are all being asked to transform but there has to be a clear end, a return for all this energy and resources it requires, that we are being asked to spend? How and where does innovation fit will clearly depend on this transforming effect. We are fairly clear that incremental innovation is just not cutting through to give the types of growth expected. There are many outside our existing organizations, standing impatiently at the gates, waiting to come in and take over with market breaking concepts through different business models . We need to transform, be disrupted or certainly re-imagine and this is where knowing your ecosystem comes in. Our existing organization needs to envisage a changing world full of disruption that calls for radical change. To meet different challenges, to be highly adaptive it needs to begin to organize around ecosystems to deliver on a vision that recognizes it has to be part of a greater collaborating network to thrive in this highly connected world. 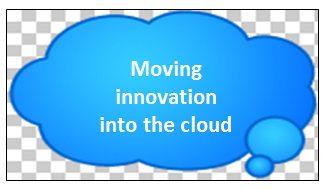 The growing need is to move innovation into the cloud. As business organizations continue to struggle with the decision of ‘if and when’ and then ‘what’ within their systems and processes should go into the cloud, there is this gathering, if not overwhelming view, that the cloud will bring IT closer to the business needs of today. Innovation is certainly one of those in need of concerted effort to bring up to date within organizations, to make it more inclusive and that can come through delivering it across the organization within the cloud. Highly visible, agile and core to the organizations future, seen by all and truly valued. Let me outline my initial thoughts here, put the seat belt on for the ride please: making the business case. 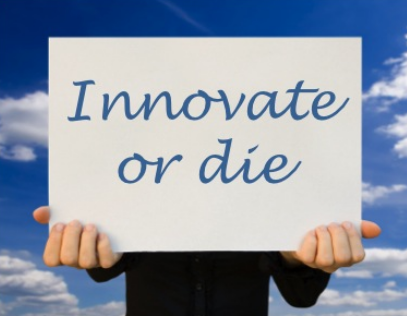 Are our organizations ossifying their innovation? The balance between risk mitigation and being equipped for risk readiness is still an ongoing struggle to balance for most organizations. There is still a continued reluctance for exploring new radical innovation opportunities and although organizations ‘talk’ growth, they continue to struggle in achieving it through new innovation. The incremental commitments to innovation still rule the day to move growth along. Until a new sustaining confidence returns to our economies, risk mitigation dominates as markets continue to be more volatile and unreliable in predictive data and executive sentiment remains cautious. Our organizations are looking for a higher certainty of return and seek sometimes endless validation and justification before they commit, even to small incremental changes. It is no wonder incremental innovation dominates in our innovation decisions; it is where reality sits for many. Are we heading off in a bad innovation direction? So why are we not facing up to the big challenges of today? Perhaps why innovation feels somewhat flat (well for me) is our organizations and societies are utterly failing to allow us all to step up in innovation to tackle the massive, growing problems that are swirling all around us. We need to shake out of our lethargy and really begin to attempt to solve the real issues of our time. Some organizations are clearly working on and trying to draw attention and gain greater engagement but we need a much greater concerted effort to focus on the big societal challenges. Global warming, rising health issues, finally cracking cancer, malaria, dementia, finding different solutions to the ageing within society. How are we going to tackle the rapidly depleting natural resources, the future conflicts over water, food, or energy . These are big, hairy, audacious gaps to be resolved. Many are avoiding the need too stare hard into the future as we are not re-equipping everyone with skills that combine inventiveness, innovation and creativity that contributes into their communities, we have got stuck in the “me”. A reality of depletion is racing towards us and it is not a pretty sight. We are facing the innovation gap as our problems keep growing linearly yet we must find ways to rapidly scale and deploy our knowledge in new, more dynamic ways. This requires society to learn how to apply effective innovation themselves, not just being whipped up, waiting for the latest gadget or incremental advancement to be put into their hands. We need to build the desire of wanting to be part of rebuilding society; making our contribution to real advancement or feeling they were there, involved, part of the “times” when this shift to societal innovation was happening. We need to be collectively moved by innovation and what it can offer. Technology does hold a vital key, so does the emerging social media for reaching out to critical masses but let’s face it, today we are deploying the best resources (the best and the brightest) not in the area on solving big societal problems but in slavishly churning out the next technology or gadget. These actually mean nothing unless they become increasingly part of the solutions we really do need urgently, to tackle the big societal issues. We certainly need communications, platforms, different media techniques and mobility as part of the initial global building blocks to putting in place the infrastructures to solve these societal problems. We need the tools, infrastructure, methods, and techniques to scale for solving societal problems not the latest incremental improvement for Apple, Facebook or Google. How about providing innovations that can deliver the parts that give us the power to tackle the problems of our time? We need innovation tools, structures and methods that will allow us each of us to invent, to innovate, and to be creative in finding our contributions and solutions to societal problems. To go and apply these in practical solutions not just simply adopt them. I’d add you give them the empowerment and skills, they will provide the desire and energy. 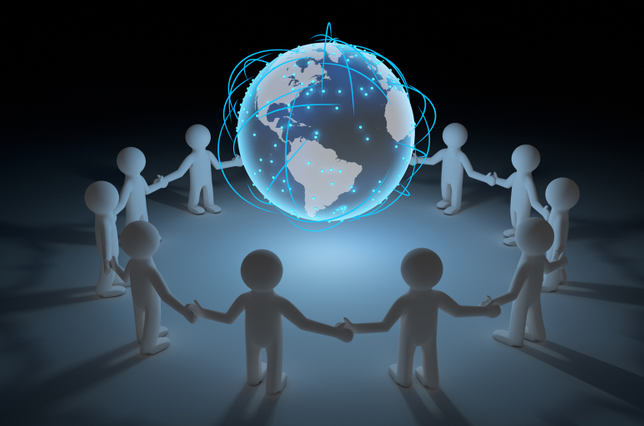 Can you imagine a world where we all can communicate and contribute into these global societal problems. Combine technology, the internet and social media and you have begun to connect up the parts or the whole planet. The exciting prospect is then ‘feeding’ all this data into finding patterns for solutions. 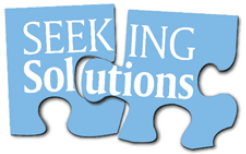 Solutions that are relevant to you, your immediate community but also to the wider ones. Social innovation struggles today with scale and replicating success in one place and making it work in another. This replicating might be the barrier, perhaps we should not apply other solutions just extract the parts that can work for us. This extraction needs knowing what is valuable to you or applicable, what is not. The need is to educate everyone to ‘break down’ the context and we need to teach numerous different skills to allow this to work. Then you need to work on where are the synergies that can be tailored and applied to local needs. Diffusion and adoption comes into the picture here too. We seek value creation, most usually by creating demand, pushing for increasing consumption. Growth is measured by our productive gains. Is this the right way to measure ourselves and how we set about preserving our precious resources? No, we need to challenge this, a real paradigm shift that alters our lenses looking out on the world. Today’s modern economic activity does need challenging and it is through rethinking much of our view of judging success. Success in preserving, in effectively trading precious resources needs a fresh set of thinking, a new economic understanding. This thinking is way beyond my preserve, there are far better qualified people to offer suggestions than me on this. All I know is that innovation, creativity and invention must all play their part. We have a world were transparency is finding its place. We ‘witness’ unfolding events faster than ever, they are nearly instantaneous. Governments are really struggling on this new transparency. We can manage this in new ways, instead of trying to control the flow of ‘selective’ data through repression. We need to open up all the positive activities occurring every day that others can learn from. We need to focus on the positives, not dwell on the negatives. The world is far to big to manage as one, even our countries struggle in adapting policies. We constantly reduce down the positive impact by this ‘crazy’ compromise of adjusting great ideas to meet the broader position. We need to segment down, we need to allow what has the best impact for a given community to be allowed to happen. Computers, sophisticated analytics, automated algorithms all can play their part in any redesign of our activities to preserve our critical resources. Modelling decisions that have impact within the world need to be more freely distributed. Not only knowing our ‘footprint’ on the planet but bringing together communities footprints and redesigning the sharing of the burden. We can optimize so much to help us develop better decisions, knowing the broader impact placed upon communities and beyond. The growing movement in a number of more enlightened businesses towards only using renewal resources is gathering momentum. It is changing business models, products and services. We need to change from being a ‘throw away’ society into ones that re-use, repair and don’t chase increasing consumption but work to reduce consumption to save energy, water, critical resources etc. We do need a far more radical innovating agenda. There are many different ways we can apply innovation into tackling today’s real societal problems, there are lots of experiments under-way, we somehow need to connect into them in global ways. We need to make the real efforts of connecting all these dots – we need to design a world where surplus has to be rapidly replaced with managing dwindling stocks. It calls for a concerted, connected and comprehensive manner where technology, ingenuity and our innate ability to be creative, innovative and determined to discover real breakthroughs that can contribute to solving societal issues. We need to know far more of where to go, what to connect into, how we can contribute. 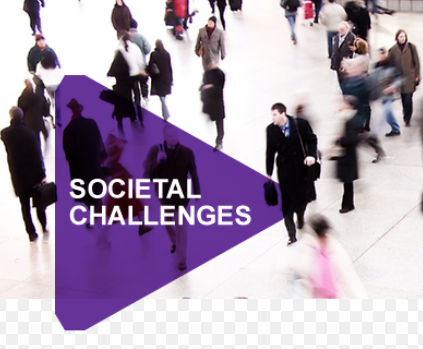 We need to engage society across a broader agenda of our challenges. Today these are diverse, dispersed, dissipated and disparate set of activities. We need to bring these together, perhaps to form a new ‘collective’ world organizational as a body that consolidates, connects and diffuses societal challenges. One that is not layered with bureaucracy and governmental nominees but one powered by a new social platform that allows each of us to connect and explore, to learn and engage. This needs to be built more than likely by the millennial generation, who are clearly seeing societal challenges as their global innovation task to tackle and resolve. They are more than likely better equipped to understand social engagement and learn to connect and deliver the tools to do the jobs into everyone’s hands. They understand the power of ‘connection’ through today’s application of technology, social platforms and application of the knowledge being learnt and adopted in practical use. We need them to engage and lead. 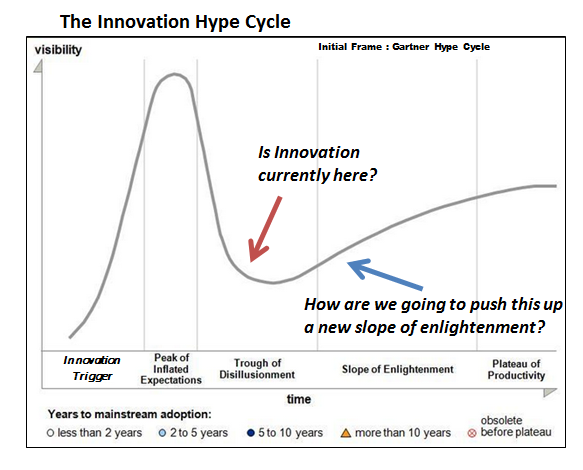 What do we need to do to lift innovation onto that slope of enlightenment? We need to firstly acknowledge our growing global problems that need tackling through more radical application and solutions. We need to learn to scale, learn, deploy, apply– we need to put our own intelligence into innovation. We need to move the innovation needle significantly, individually and collectively. Relying on organizations providing their solutions in a radically different world of challenges where they are stuck in delivering their steady state of ‘ever consuming’ incremental thinking is not good enough. We need a new evolution and revolution, applying new innovation thinking by putting radical innovation solutions back on the global agenda that reduce our throw away consumption and focus on preserving what we have. We need to regain a collective sense of momentum and a belief that we are truly working on something that changes our lives and helps save the resources we need to live in this world. 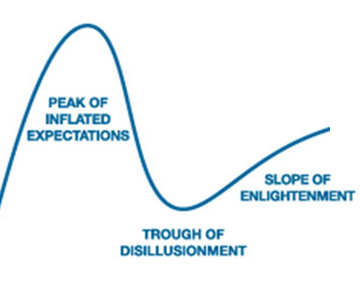 So are we in a trough of innovation disillusionment? You get this increasing sense that the ‘fizz’ has gone out of the innovation bubbly. The innovation party presently feels a little flat; the numerous delicious canapés to choose from are turning up at the edges as we are becoming disillusioned, just being fed on a present unexciting incremental innovation diet, lacking any real substance. People are milling around with that bored look on their faces, some are also slumped down checking their watch or smart phones on when is the best time to cut out and find somewhere else to be, rather than be here. Has the fizz gone from innovation? Are we being moved by innovation any more? Is innovation becoming a boring place to be seen for hanging out and being involved in? Are we all feeling that there is less creative buzz going around? Perhaps, it depends for each of us yet collectively you might agree we do feel something is definitely missing. The excitement has left the room, innovation has become too predictable. I could blame technology or perhaps just Apple- should I? 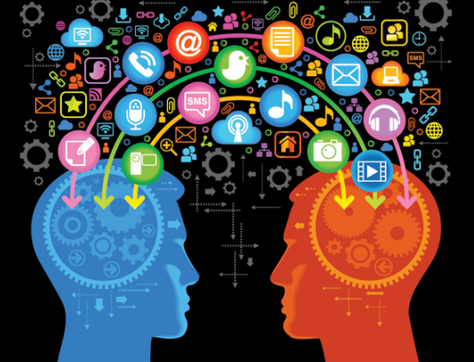 Innovations have become the next novelty, entertainment or the latest talking point. Apple has become predictable in their format, their focus on sustaining innovation when we all are craving the next big thing. Perhaps Apple will burst into the room and the innovation party suddenly springs back into life. We need something to lift our moods. Instead we get innovation that is simply thinner than before, faster than the last model, processors that allow up to multi task with even more capacity, increased memory, we hear this has new architecture, even a new retina recognition device and then we all applaud. “Oh wow”, then some stifle a quick yawn. Then we quickly check our phones for any message from someone else telling us to” get over here it’s all happening” Nothing, an awful lot of innovation has simply become hype. Nothing seems earth-moving; it’s all getting fairly predictable. Yes, Apple and Steve Job are to blame, they set the bar high, yet today Tim Cook likes to run the same ‘event’ parties based on the ‘sustaining’ theme, just like the supply chain, delivering on expected and increasingly the predictable promise. Where has the excitement gone in innovation? Everyone seems to be playing it safe. The truth is we are all to blame, we have over-hyped the word ‘innovation’ and are under delivering on its potential performance capacity for our real need for some radical redesigns of today’s real challenges – global challenges we must solve to survive, let alone thrive. We are fed rumours weeks before launches on what we might expect that when we get to the big event nothing is surprising us any more. We are witnessing even more incremental creep; we have lost the effect of serendipity, the “wow” factor, the moment something happened that changed our world. All we get is that feeling, that peer pressure we must upgrade for fear of missing out or to be seen without the latest. We are on an incremental treadmill and we are the mouse turning the wheel. When you have been weaned on the bottle of excitement, when you don’t get it you feel flat, bored and start to blame innovation as simply “innovation is dead.” No, it is simply not being allowed to really work any more. Much has become totally underwhelming. Over time our organizations are finding increasing reasons to put off the more radical innovation that is needed. Incremental innovation is safe, contains all the risks within acceptable levels, so as it allows the organization to keep its fixation on the short-term as its only line of site (and executive pay-off). “Let others make the investments and ‘we’ can pick them off……hopefully later and we play catch up!” It is funny how a good few are being caught out on this strategy though and are not learning often you never catch up, you just fall further behind. A fast follower strategy is really hard, think Apple actually. So do we all having this growing feeling of a lack of real innovation? The proliferation of advanced insights as news, the ability to spread the word in seconds, the ability to line up, pay on-line and receive your shot of instant update makes it all seem a little mundane, a little boring, where is the innovations of past generations that solved real society issues and problems? The instant gratification indulges us but leaves us stuck on wanting more of the same – like the craving for sugar. We are losing the appetite for adventure, we equally are losing the ability to wait, to speculate, experiment and discover. Innovation is being delivered up on a plate; all we have to do is consume it as long as we can afford it! Innovation gets exciting when you stumble across something, totally unexpected. Researchers in a lab suddenly make a connection, that changes and often challenges their thinking, perceptions alter. It becomes “game on”. It all becomes potentially exciting. We work for moments like this or should do. 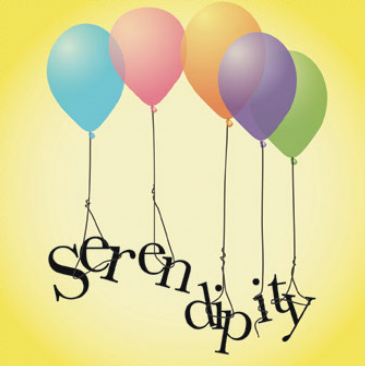 Perhaps we should have a course on serendipity, where we are required to seek discoveries by accident, by learning to listen more to others and their problems so we can make the connections to resolve their problems. No, lets take out discovery, lets offer up predictability, it takes out fresh learning through experimentation and trial and error. Let curiosity die in wanting to fix something, to figure it out, lets just simply throw it away and buy the latest replacement. The organizations working on innovation love sequential order. Sequential order, hierarchies, linear processes all allow for predictability, the ability to see what is coming before you, you can do rational analysis. This type of thinking ensures innovation can be highly planned out, projects can be well constructed and everyone can fall in line and wait their part along the incremental innovation production line. The mantra of it being “that much better than the last version” makes everyone feel part of the innovation road show and simply take the incentives being dangled like the carrot to deliver on this “exciting” development. Innovation is simply missing the big picture, we are stuck in revolving doors. It is all so marginal, we are back checking our clocks, looking to head out of the door, off to do something else. Again the excitement and buzz around innovation seem to be missing. Why as we are utterly failing to tackle the real big problems of today and that is not “should we buy another smart phone” or what ever we are being fed as innovation, these are societal ones that are racing towards us, needing global solutions and that is one hell of a party to get stuck into. We need to lift innovation out of this current trough and recognize we have some major problems of the day, that will impact everyone on the planet. 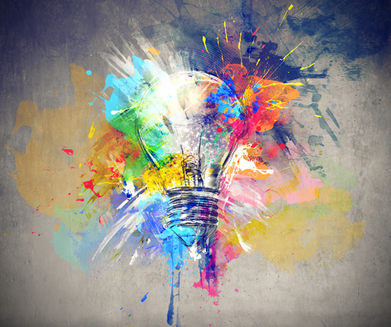 Innovation can be one significant key to combine with others that unlocks all the creative and inventive forces this will require. We all need some enlightenment not the latest gadget. Applying innovation that makes a substantial and radical contribution is the party we all should be wanting to join.